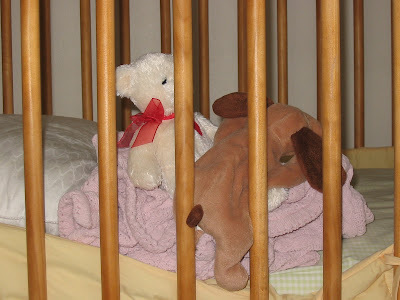 Leezy Lindsey: Stuffed animals need to sleep too! Stuffed animals need to sleep too! Linds, I keep forgetting that you are pregnant. It is good you have that pregnancy time-line to remind me. My sister-in-law has that on her myspace page. I think it is a great idea!